Victor Garper tastes a few flavors of ice cream. 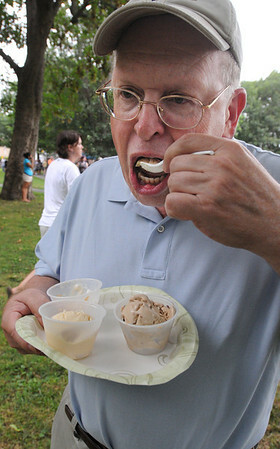 The public had a chance to sample flavors from many of the North Shore’s creameries, ice cream shops and restaurants. The event was part of Heritage Days.